For years now fans have hoped for a new game in the Star Wars Battlefront series and when news finally hit that the next gen consoles would be receiving one made by EA and the guys that did the Battlefront games fans had high hopes for what they’ve been waiting years for. Sadly though it looks like our hopes should of been lowered some. Battlefront online is mainly large scale battles with usually a objective at point to capture and defend in this beta. They have taken and used the Battlefield formula of game play style into this game so most fans should feel somewhat at home. They did seem to leave some features behind such as the slide (since it wouldn’t be practical I assume) and since you have a gun that fires lasers instead of reloading you simply can overcharge your gun which then prompts a active reload meter similar to Gears Of War. For the game play though I often found it to be quite boring. Maps are wide and open and I often found myself wondering around only to be shot by someone far away blending into the bland maps. Since guns have no recoil really as well if you can hide well and are able to spot enemies you can be picking people off. Which brings me to my next point of just like the Battlefront games, spawn camping is a problem as numerous times I found myself spawning to make one step only to be gunned down. As expected as well they have vehicles and items you can get throughout the map but sadly they are just displayed as icons and not as an actual item. You won’t be running up to a walker and climbing in, instead just running into something to then be teleported to one. Visually I found the game to be lacking. Maps have a ever so generic look to them and in regards to one map is mainly just small white hills and holes in the ground. I thought for being a Star Wars game the maps would be much better with some detail. Also unlike the Battlefield games very little in this game is destructible. 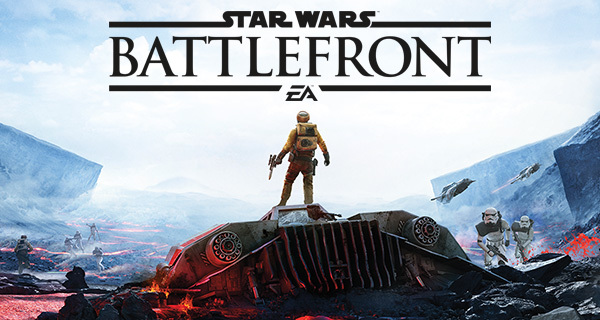 Overall what I hoped for Battlefront ended up as a disappointment. Maybe things will be changed and the final game will be an improvement but as of now the beta has lowered my interest in the game to cancel my pre-order and maybe wait for a price drop.